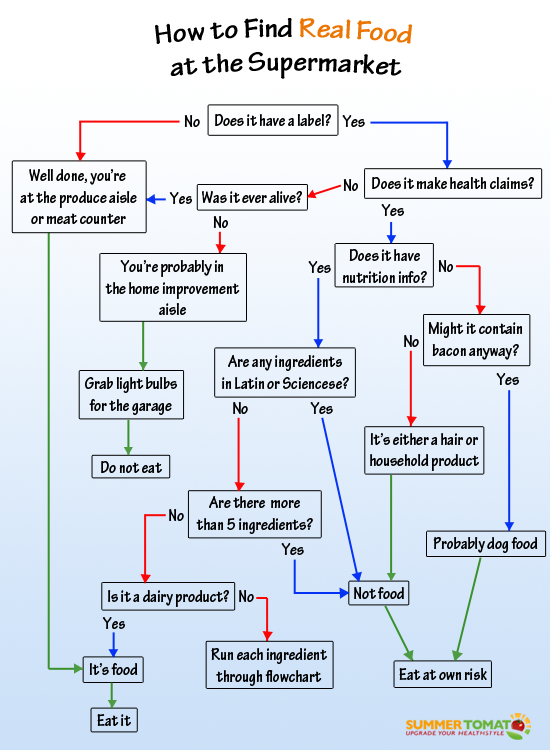 This is for those of you who have a hard time navigating your way through the grocery store in an attempt to find healthy and delicious foods. Attached, for your amusement, is your "Supermarket GPS". 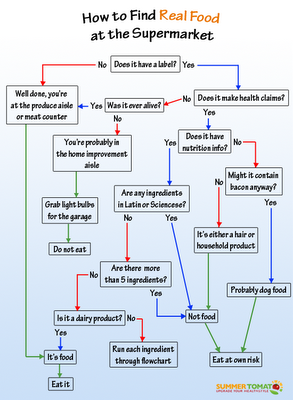 Taken from a website called Summer Tomato, this is a light and funny flow chart that will help you decide on what you should eat. Enjoy!